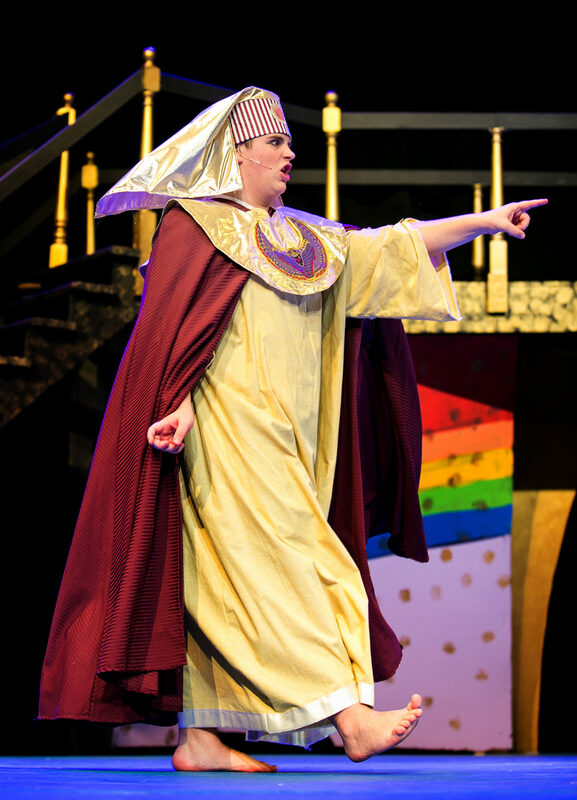 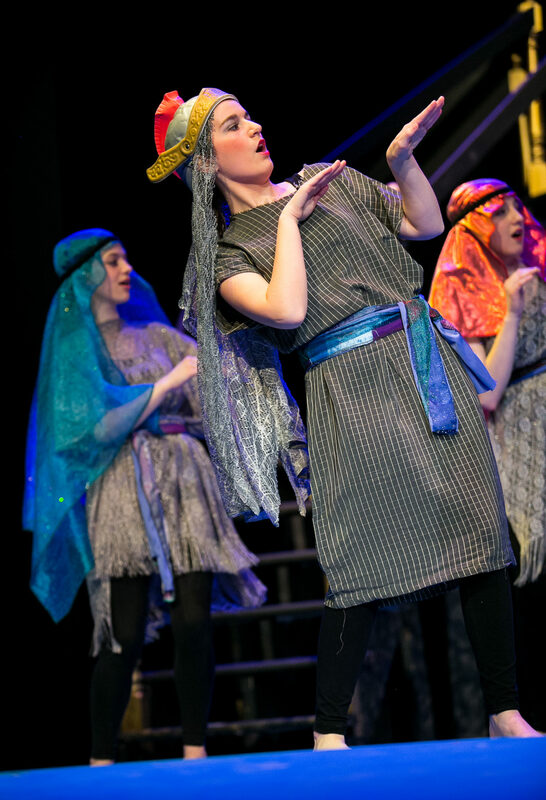 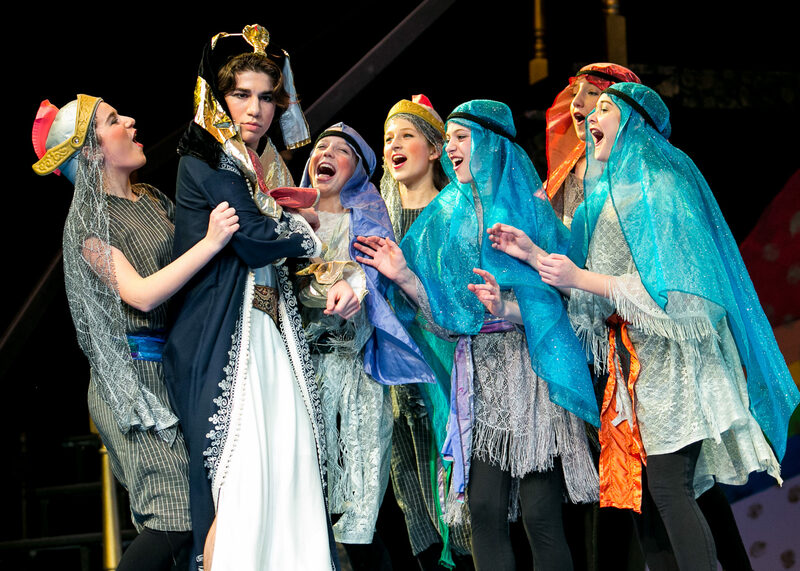 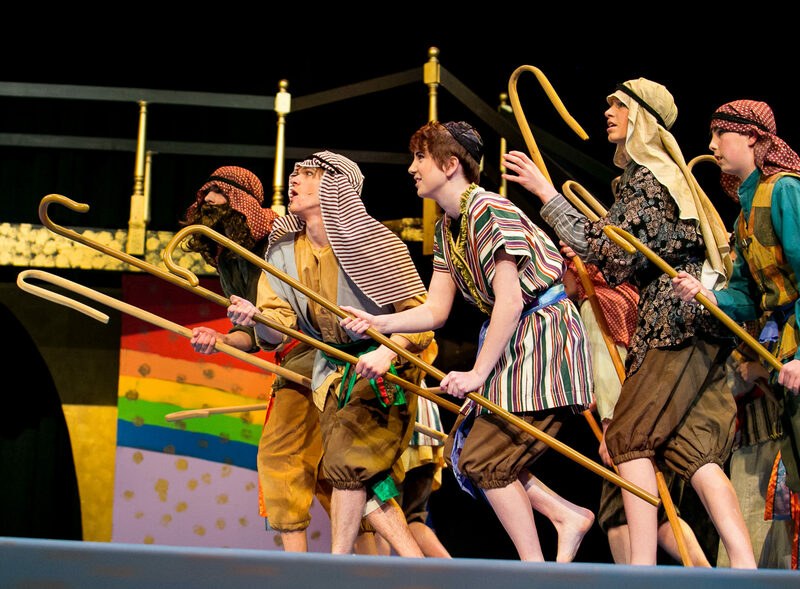 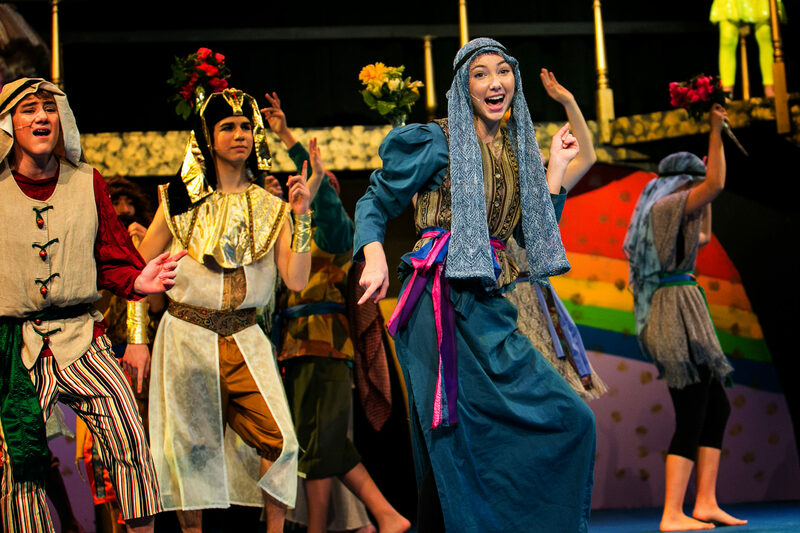 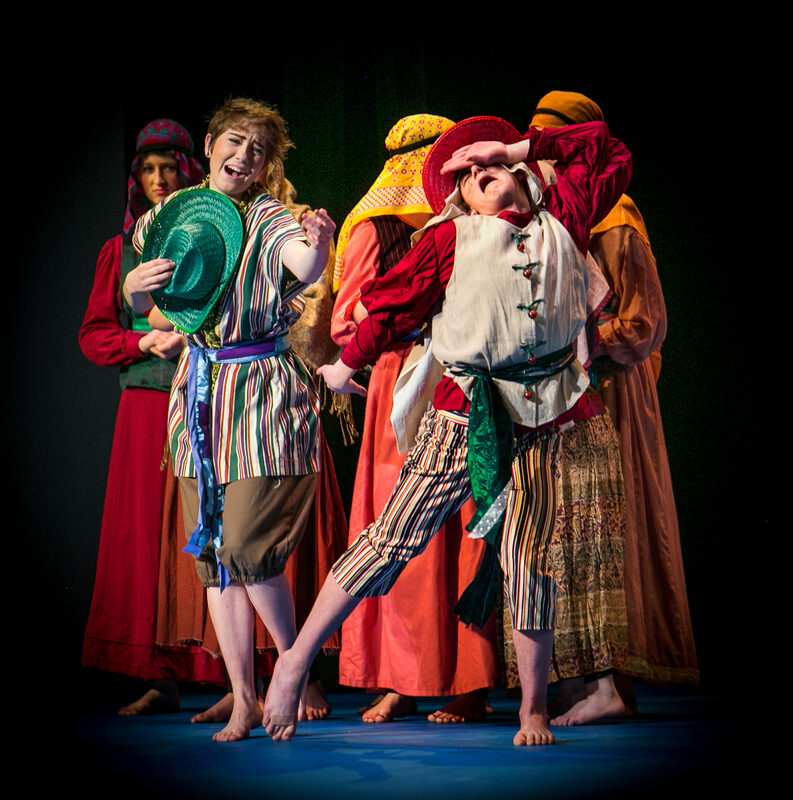 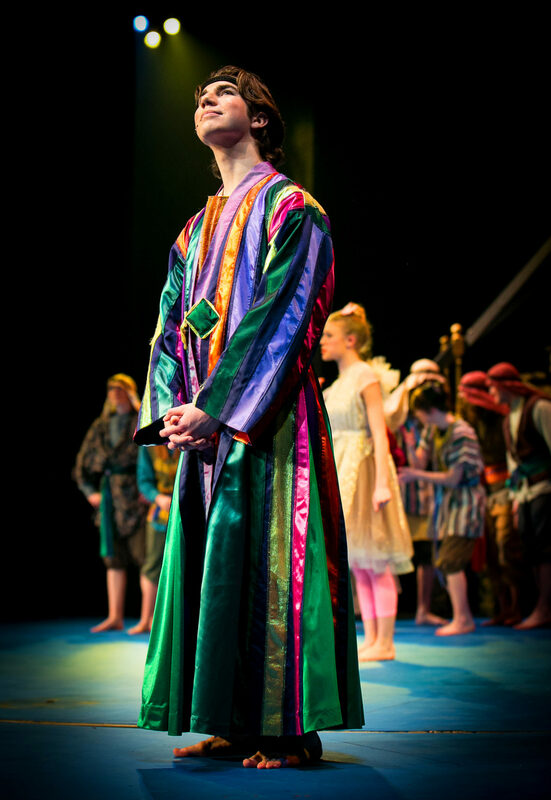 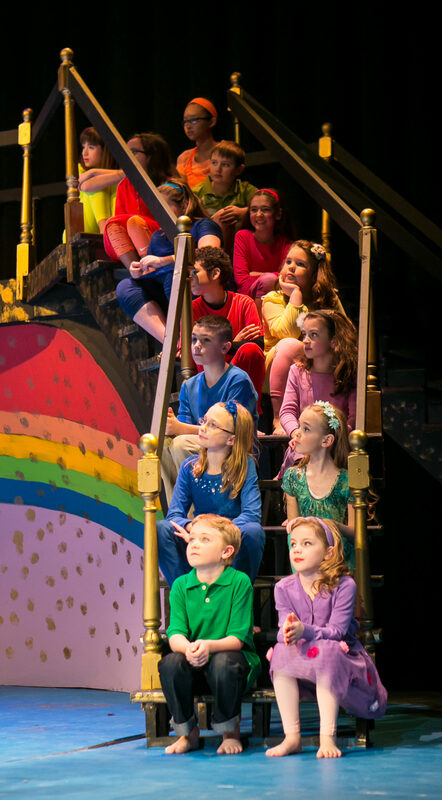 Based on the Biblical story of Joseph, R&H Theatricals’ Joseph and the Amazing Technicolor Dreamcoat was written by lyricist Tim Rice and composer Andrew Lloyd Webber. 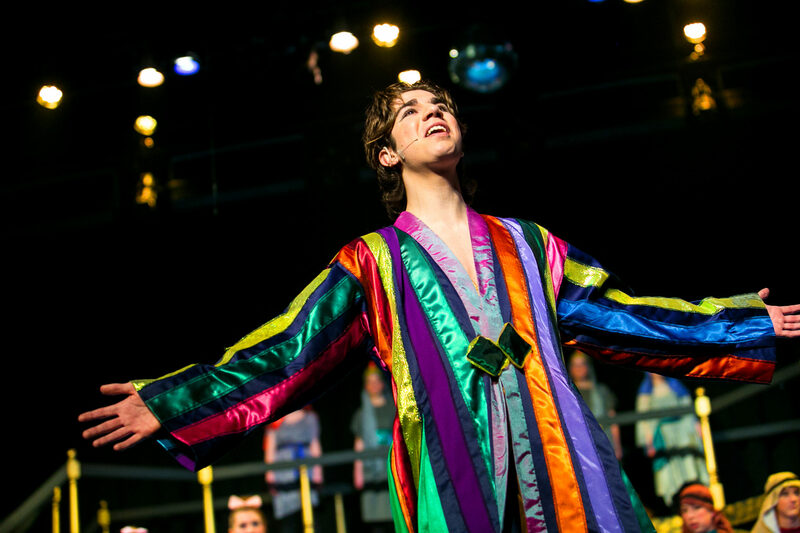 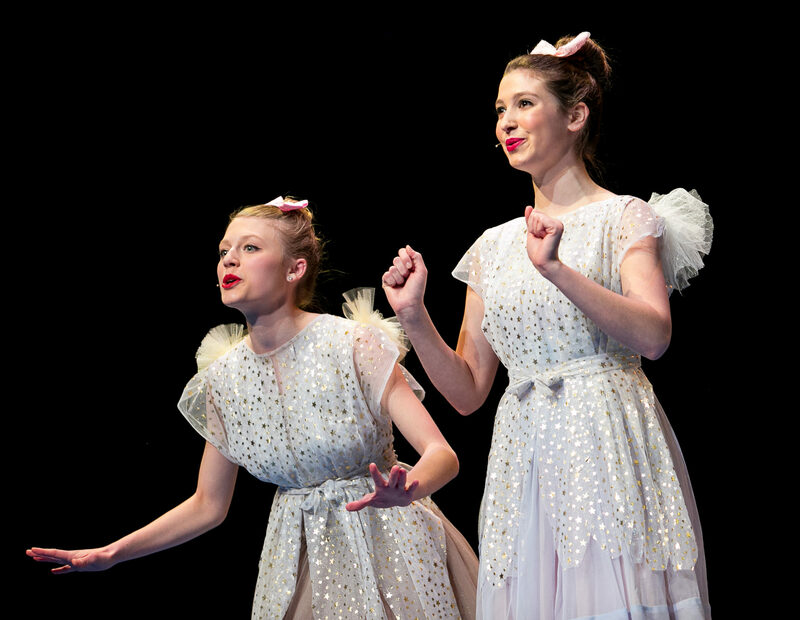 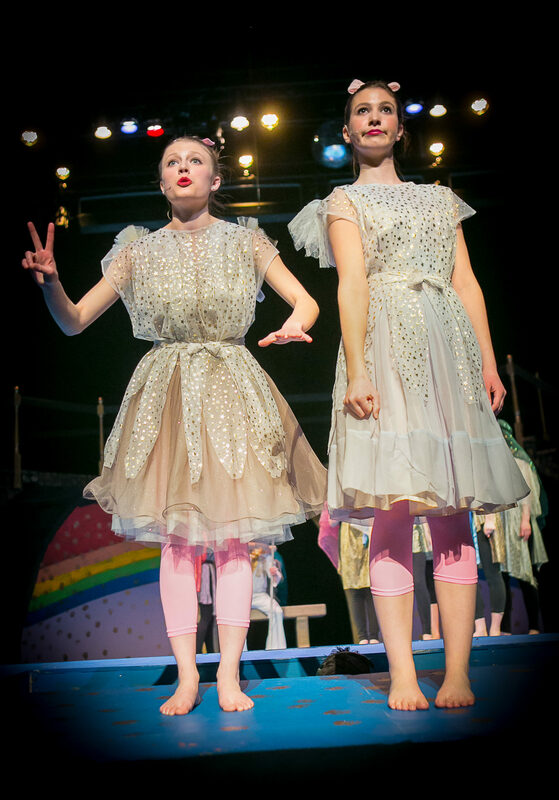 Lloyd Webber’s musical genius was evident in the score of the musical; he keeps the energy of the story flowing through various musical styles, including pop, rock, jazz, and calypso. 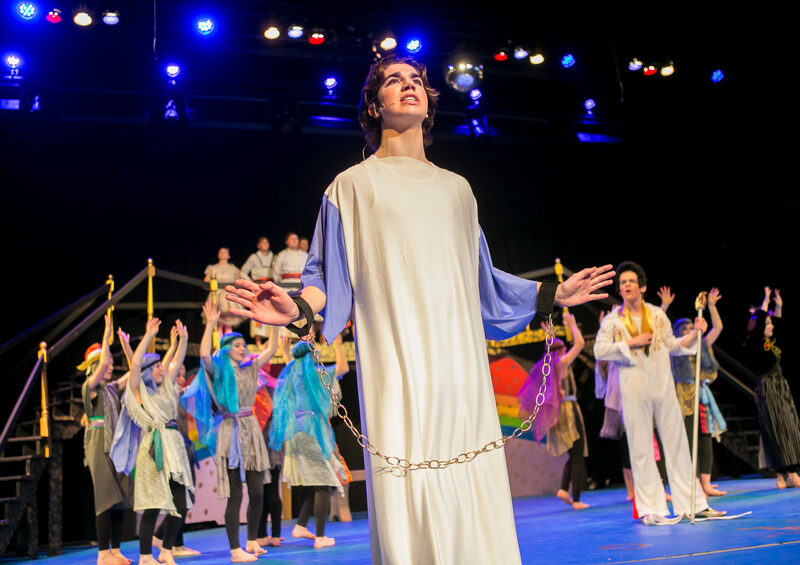 The composer is best known for the Broadway musicals Cats, Jesus Christ Superstar, Evita, and The Phantom of the Opera. 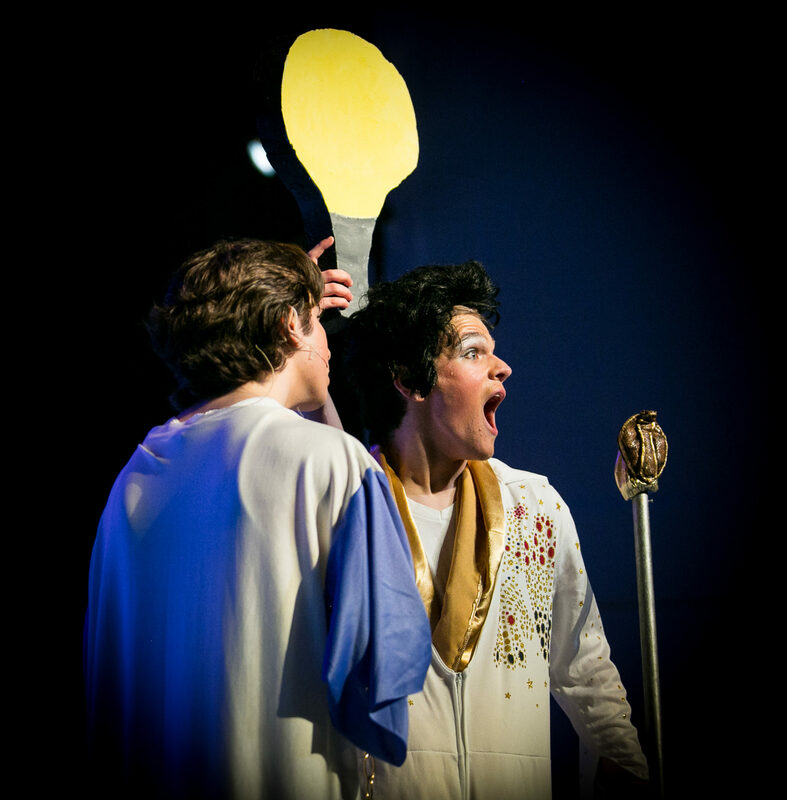 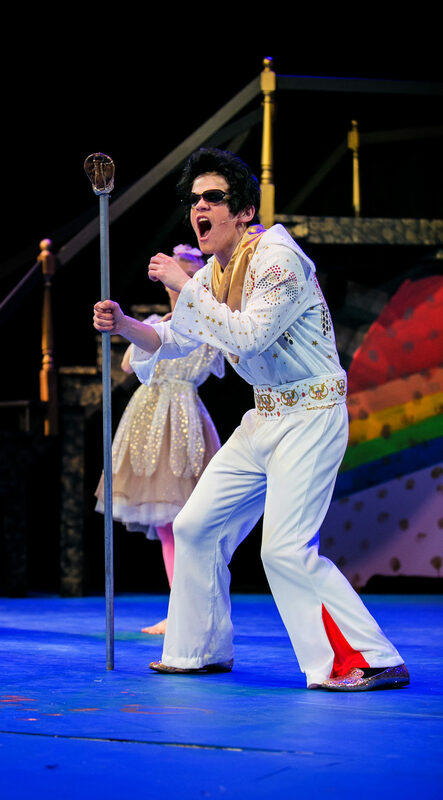 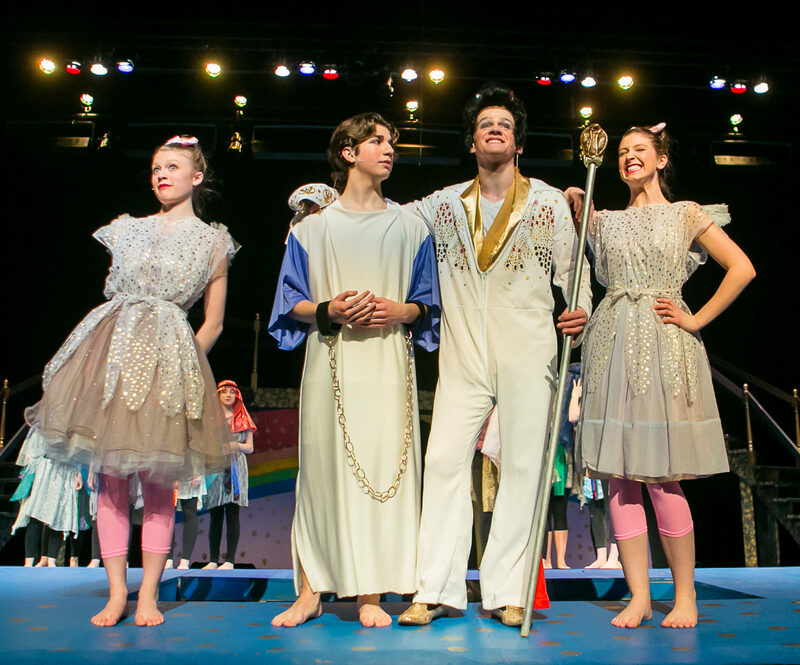 The show featured updated versions of characters from the Bible, an Elvis impersonator, laser lights, and a children’s chorus. 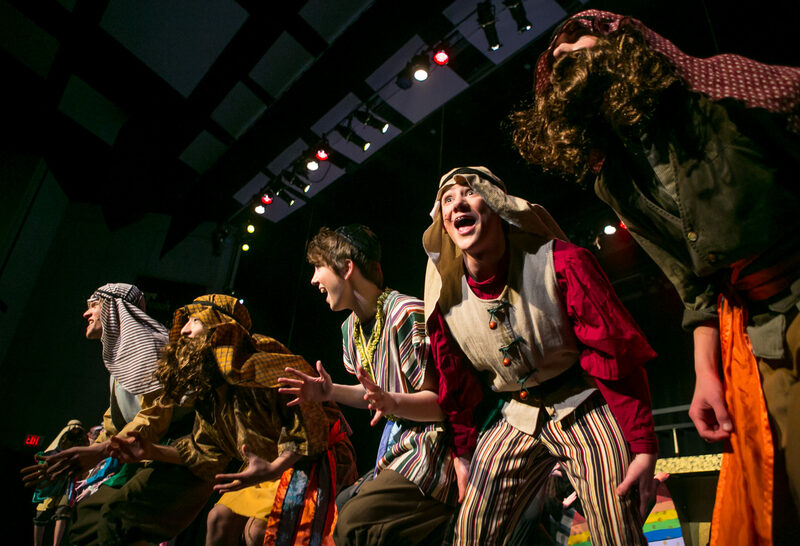 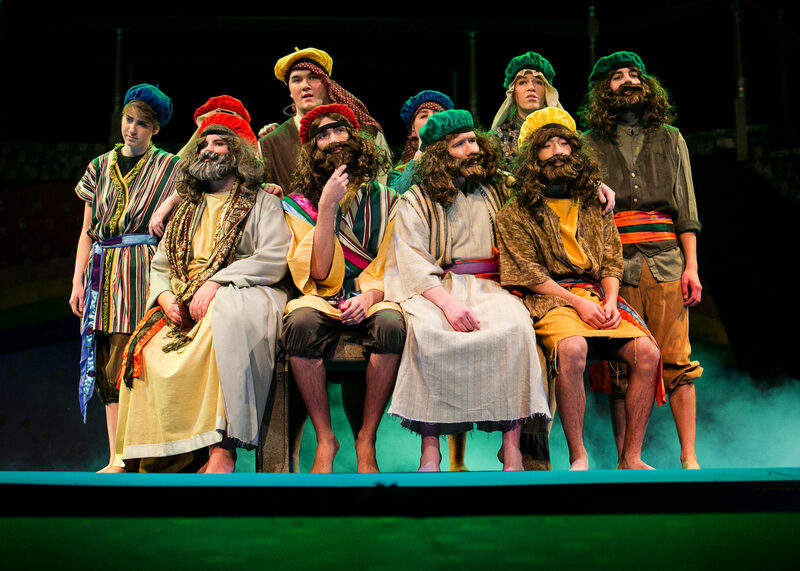 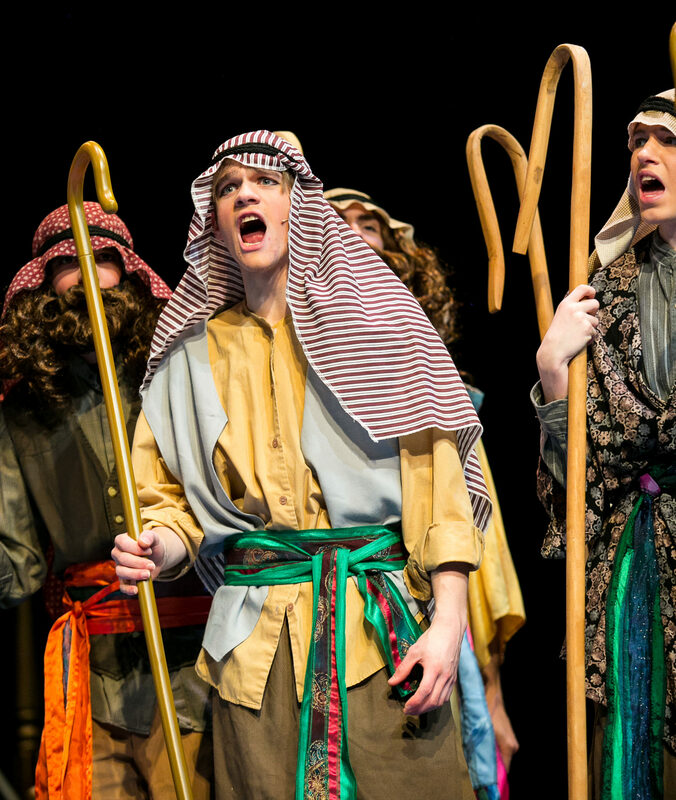 The familiar story of Joseph and his jealous brothers who sell him into slavery, his gift of interpreting dreams, and his journey to Egypt was a lesson of forgiveness and healing that is relevant for audiences today. 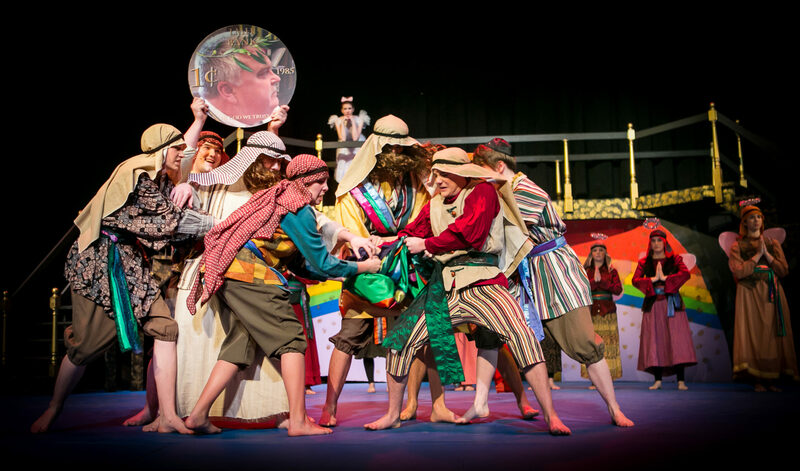 Tickets were $10 for adults and $8 for students. 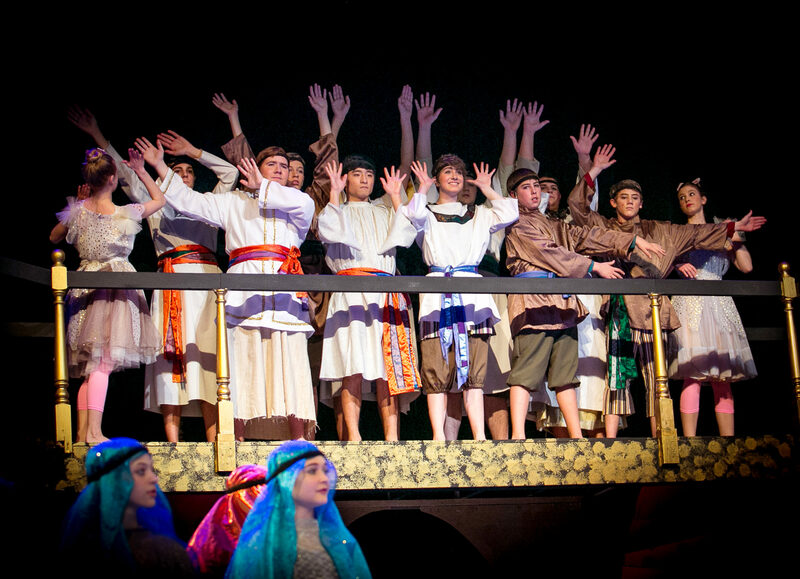 For the matinee, tickets were $9 for adults and $7 for students. 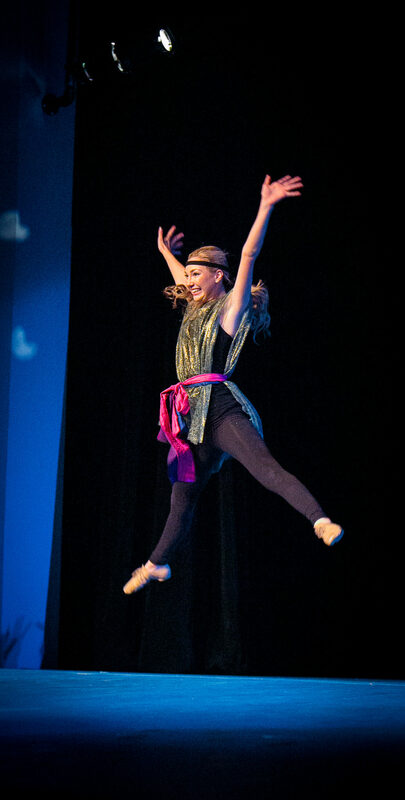 Photos courtesy of Paul Jacobs Photography.